Although born in Sweden, Nicklas aka NIK, founder of NIKBEN Swimwear, was bred on the beaches across the southern parts of Europe. Swimwear became his natural choice of apparel in his everyday life, not only for lazy days bumming on the beach, but also at the gym, relaxing at home or even on the golf course. Benjamin aka BEN was born on the Swedish west coast, typically spending his summers hopping from island to island on sailboats in their renowned archipelago. He would later be found at Central Saint Martins in London – surrounded with endless amounts of inspiration and creativity, he developed a vision to establish a product that would bring fashion to new dimensions. NIK and BEN crossed paths in Spain, bonded instantly, a few years onwards they decided to take destiny in their own hands – the rest is history. 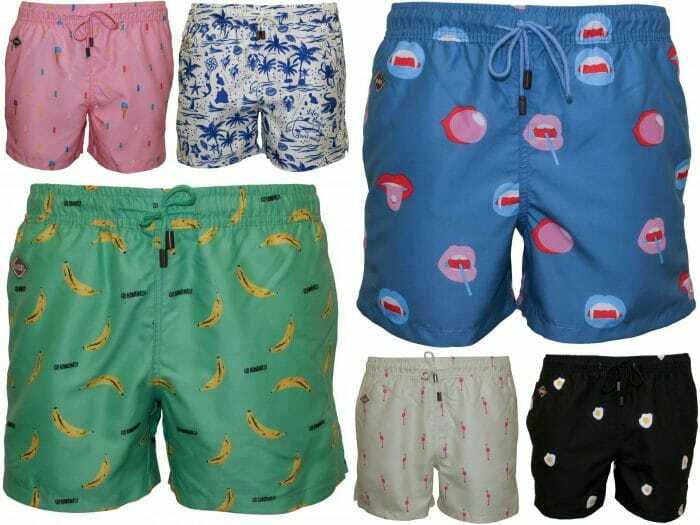 It is not a rare sight to find traditional wallpaper and flowery prints on men’s swimwear today. A classical concept that NIKBEN believes can be further developed by offering swimwear that conveys not only a pattern, but also a statement or an unforeseen “twist”. NIKBEN conveys a lifestyle, it is a short that can be worn all year and on different occasions, not only to the beach or for swimming. NIKBEN is not simply in the business of selling swimwear – NIKBEN sells dreams of summer, sun and happy moments. Nikben swim shorts have a luxurious, soft-to-the-touch feel to them, constructed in the highest quality fabric. Two side pockets and a velcro-fastened back pocket. They also all feature that all imporant NIKBEN Embroidered logo. Their inner mesh brief provides extra support and comfort, as does their elasticated drawstring, with Nikben branded metal ends. Their exclusive quick-drying material also ensues long-term comfort. All our selection are from Nikben’s Spring Summer 2017 collection.